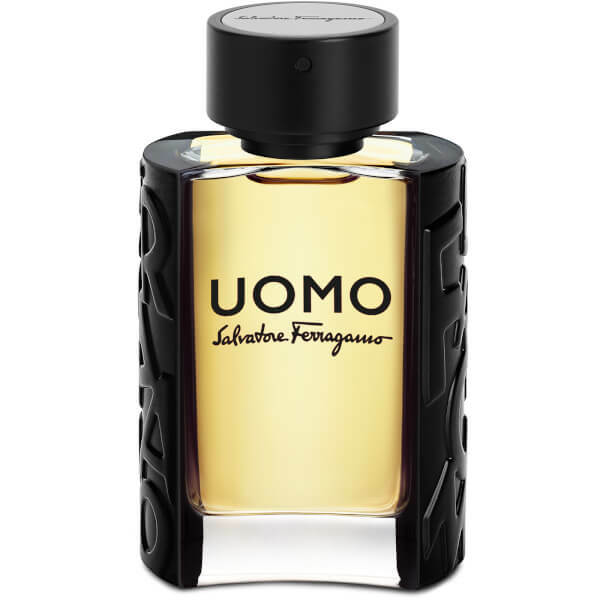 Exuding passion, spirit and character, Salvatore Ferragamo's Uomo Eau de Toilette is the perfect gift for the contemporary gentleman. Opening with distinctive notes of Bergamot, spicy Black Pepper and Cardamom, the fragrance is enhanced by Orange Blossom, Ambrox and Tiramisu, before settling on an intense, masculine base of Sandalwood, Tonka Bean and Cashmere. Housed in a curved flacon with contrasting matte black sides for a comfortable grip. Top Notes: Bergamot, Black Pepper, Cardamom. Heart Notes: Orange Blossom, Ambrox, Tiramisu. Base Notes: Sandalwood, Cashmere Wood, Tonka Bean.